The Artist, Bill Stetz played 4 years of college football with the Boston College Eagles at Middle Linebacker where he was rated as one of the top 5 in the country.. After his college career, was drafted into the NFL in 1967 by the New Orleans Saints, later traded To the Philadelphia Eagles, where they used him as an offensive guard. 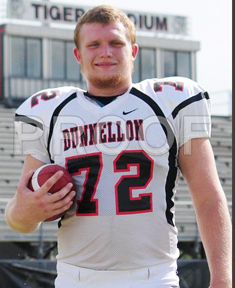 He played a year with the Eagles, then went to the Pottstown Firebirds of the Atlantic Coast League . While he was living in Pottstown, Bill opened two craft stores, one in Pottstown and another in a granite mining town called St. Peter's village where he made jewelry and leather items. 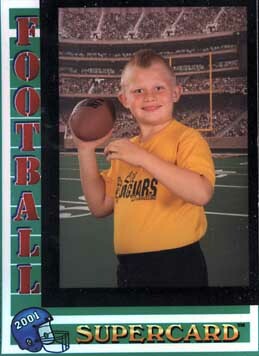 After his first season with the Firebirds, went to the Denver Broncos who later released him back to Pottstown. 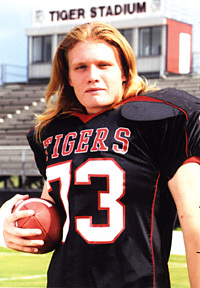 Bill played for the next two years as a starter at defensive end & tackle. During that time the team took two consecutive ACFL championships. The next year , the nucleus of the Pottstown team was then combined with the Norfolk Neptunes of the same league. 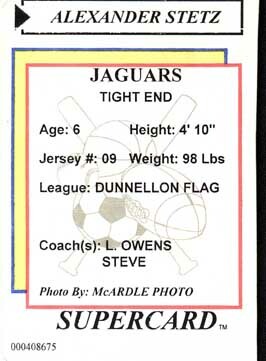 Bill played one more year with the Neptunes as a starter and was on another ACFL Championship Team. Bill then took a few years off until the birth of the World Football League when he was contacted by the Philadelphia Bell. He ended his career that year with a knee injury. He now lives in Florida. 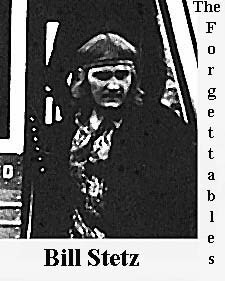 Bill was part of an award winning NFL film entitled: Lost Treasures of the NFL: Pottstown Firebirds, and subsequently also part of the follow-up film: Lost Treasures of the NFL: Pottstown Firebirds Revisited. Bill was also included in author Jay Acton's book: The Forgettables, which was also about the Pottstown Firebirds. After his football career, Bill settled in Florida where he added metal sculptures and wood carving to his artistry skills. As of now Bill spends his time creating canes and hiking sticks mostly, and the proceeds go directly to his son's- (Alex's) college fund. Alex helps his dad through many of the stages of creating these canes, hiking sticks and totems. He plans to use the college fund to achieve his dreams in the environmental field through college.